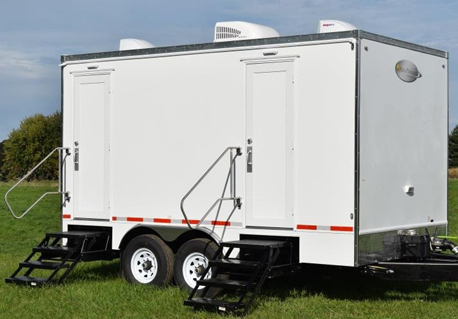 High-end mobile restroom trailers for special events, recreational facilities, permanent home and business locations. 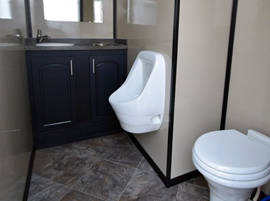 Based in Hingham, MA, and founded by Charles Gant Daley, Atlantic Mobile Restrooms is serving a wide range of New England customers. 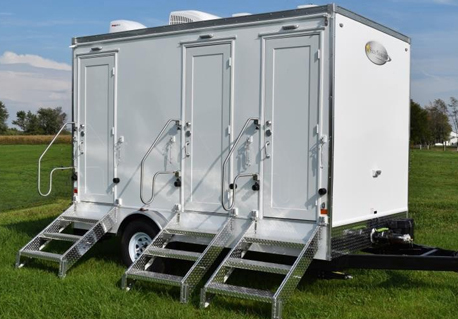 With a variety of high-end portable restroom products for rent, we deliver elegance and style in every mobile sanitation unit. Our trained, licensed and fully insured professionals guarantee every customer's satisfaction. 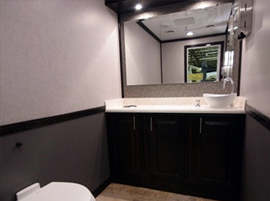 Installed in under 30 min, the luxury restroom trailers are as efficiently set up as they are dismantled. Last-minute or advance scheduled requests are honored with equal punctuality and professionalism. Expert advice and site assessment are always available to help you make the best choice for your situation and budget. 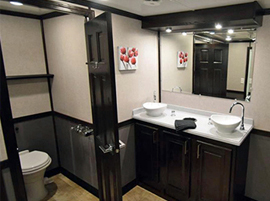 Short-term rent and long-term lease available on all configurations of luxury restroom trailers. Granite countertops, individual stalls, and luxury hand-washing stations add that last detail to the perfectly though-out event. Fresh and clean smell, pristinely sanitized units ensure that even the pickiest guests will be satisfied. Already serving Massachusetts, Rhode Island and New Hampshire, we are continuing to expand our customer base and geography. If you need us, we'll be there!